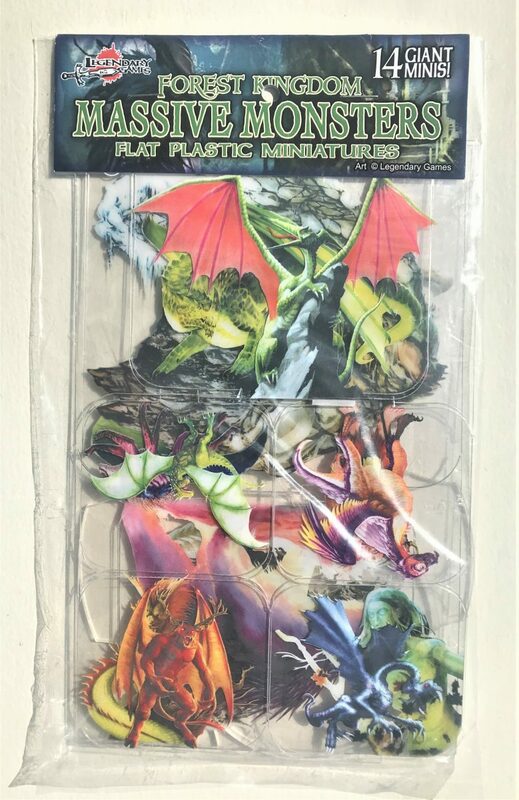 Arcknight and Legendary Games have teamed up to produce the Flat Plastic Minis (FPM)! 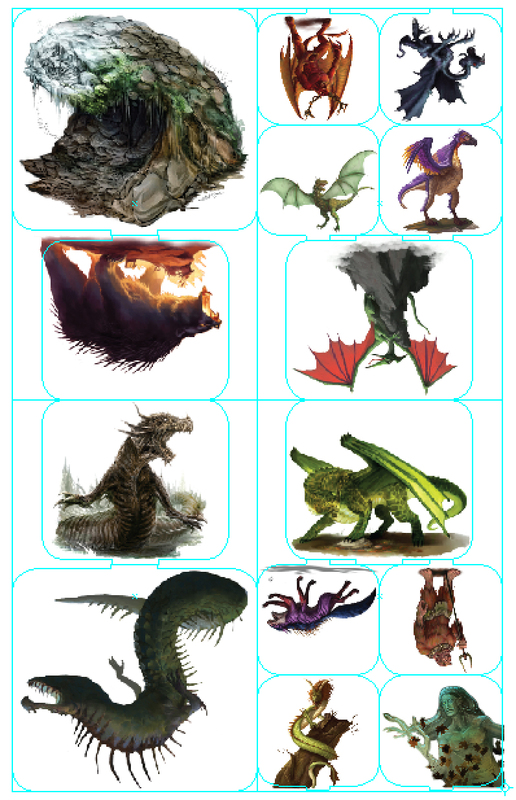 The Legendary Games Forest Kingdom is an assortment of massive monster pawns featuring the fantastic artwork from the Legendary Games portfolio. FPM Legendary Games Sampler is a 62-piece pack, and includes 8 round bases. 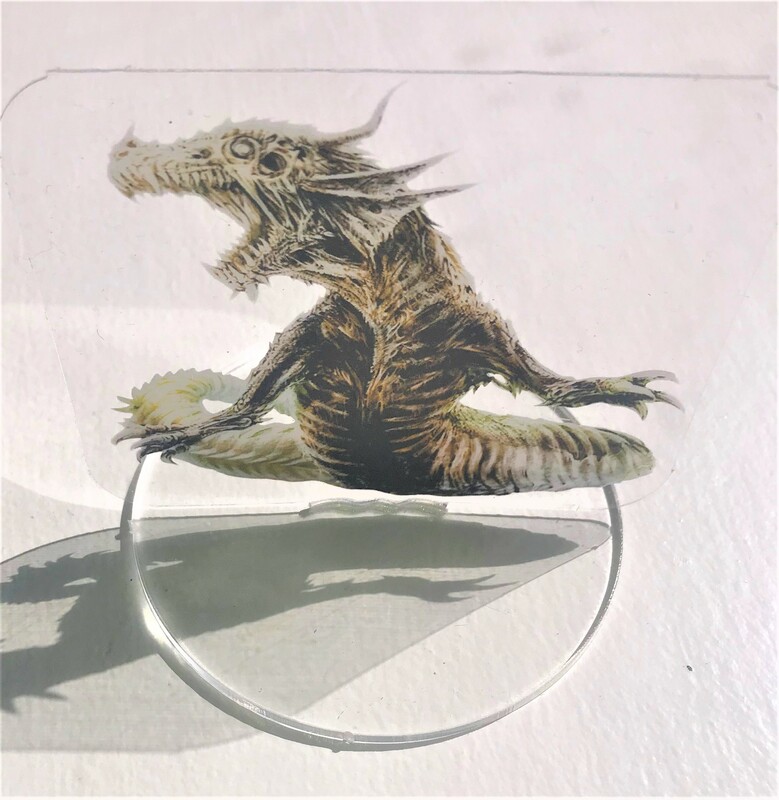 Below is a rough sample! This image is to give you an idea of what the pawns include. This is a pre-order. Pawns will be shipped in the Spring 2018.